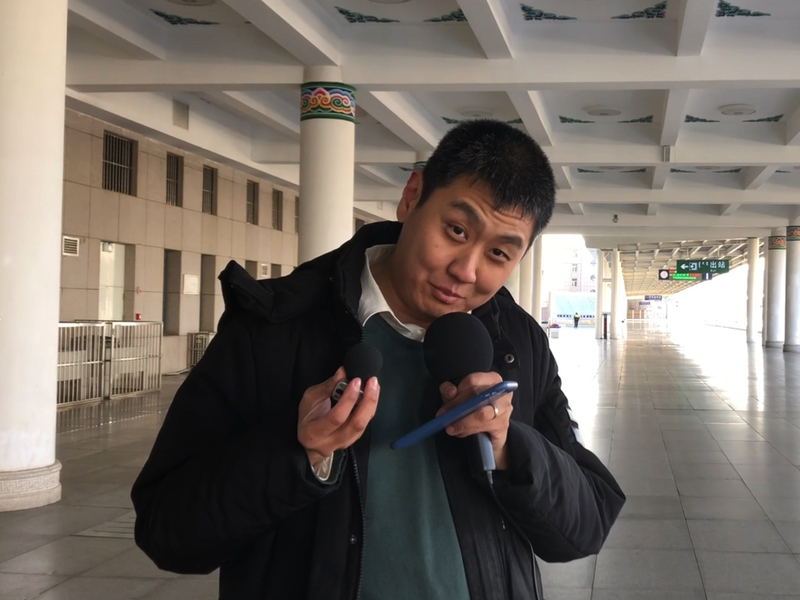 Next Station: China is loved by many a station — and feared by many a microphone. I say this after going through two Shure USB mics — Mic 1 dying in Qinghai (after nearly 100 stations), and Mic 2 dying in Inner Monglia (just about another 150 stations). Thankfully, I had my “blue bag” (an extremely helpful gift from the rails) with me, with two wired microphones — the regular-sized ones, not unlike maybe the ones Teresa Teng used in concert (because they’re wired and they’re not shotgun — so they’re not really “reporter mics”). I was about to plug the USB mic in as I arrived at Hohhot Main Station — then the bloody USB connector broke. The useless lemon! The one stop before this, when I did want to pop on the handheld mic (due to heavy winds), was Mt Zhuozi, or Zhuozishan, station. It was absolutely brilliant, with an old station building on Platform 1 harking back to the Republican era (1912-1949; this one was from 1936). Not only has the old station building been well-preserved, it’s also found a second life as a station museum. Some of the rail treasures they’ve there are from rail departments that have now disappeared (“Branch Railway Bureaus?” No longer there!). But this was the first time we’d come out this far out to Hohhot, the capital of the Inner Mongolia Autonomous Region. Both Tracy and I were totally in love with horses, so we found plenty of that there. It also had an epic High Speed station. And finally, proper station names! There was also Baotou and Baotou East on the to-do lists. The food wasn’t exactly “all-Mongolian”, but I found more inland as in Beijing tastes more to my liking. Still, it was by a station which also had a fair bit of rail history inside the departures hall: old railway uniforms! The trip out from Jining South (not Ulanqab) was a bit odd, though. I’ve not really done my homework that much, so I thought we’d merge onto the High Speed line. Nope, but we got a Rapid Rail line nonetheless — at 160 km/h (100 mph). (The High Speed line would be optimised for 250 km/h, or 157 mph.) This would be running parallel to the new HSR line for the whole stretch from Ulanqab/Jining to Hohhot, until we’d hit Hohhot East Station.